Following Gun-pla(Gundam plastic models)-themed animation, another special event featuring Gun-pla is coming from, surprisingly, an airline company. 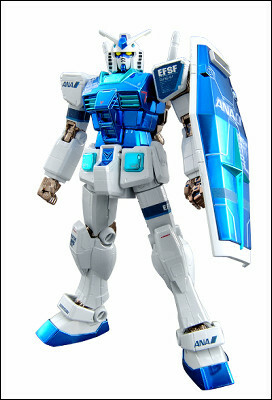 As a part of ANA X GUNDAM SKY PROJECT, celebration for the 30th Anniversary of Gun-pla, All Nippon Airways(ANA) is to fly domestic jetliners with custom Gundam paintings from July 16 to the end of March, 2011. 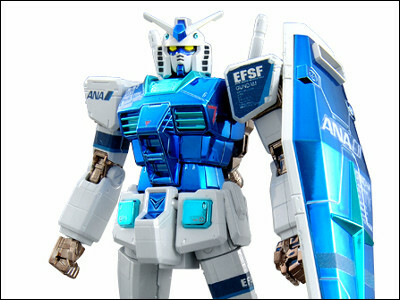 Also "HG 1/144 Gundam G30th ANA Original Color Ver. (3000 Yen - about $33 USD)" and "1/48 Mega Size Gundam ANA Original Color Ver. (8500 Yen - $92 USD)", limited version of Gun-pla is to be sold. To get them, you have to take one of the flight and get special application post cards handed out from July 1st to Aug. 31. << NextNintendo 3DS with 3D Camera Unveiled!